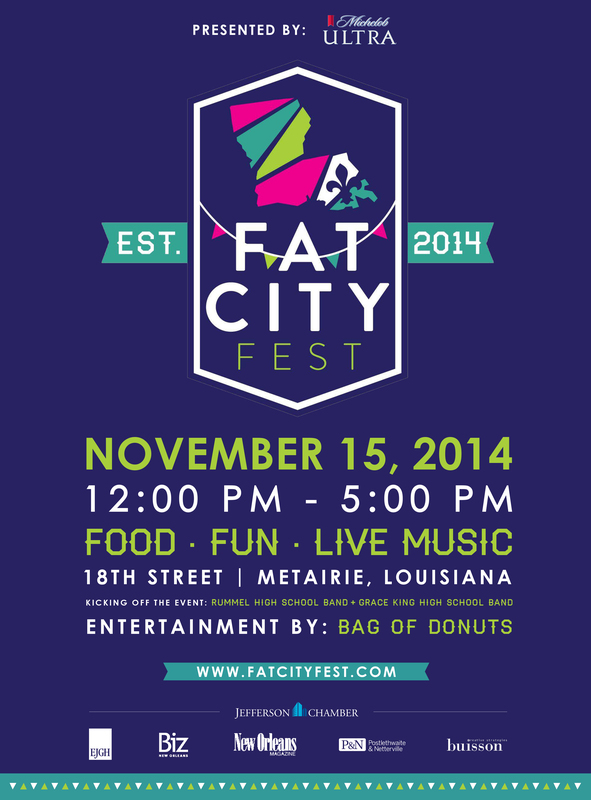 The Jefferson Chamber Young Professionals present the First Annual Fat City Festival to Jefferson Parish. This festival will showcase the heart of Fat City and the changes that have been made over the years. Also, spotlighting the redevelopment that is in place. There will be live music, food & drink vendors, giveaways, contests, high school bands, face painting and more. To sign up as a volunteer click here! These awesome Fat City Fest t-shirts by Fleurty Girl will be on sale at the festival! To discuss any sponsorship opportunities please contact the chamber office at 504-835-3880 or email brittany@jeffersonchamber.org. There is no admission fee to get into the festival.